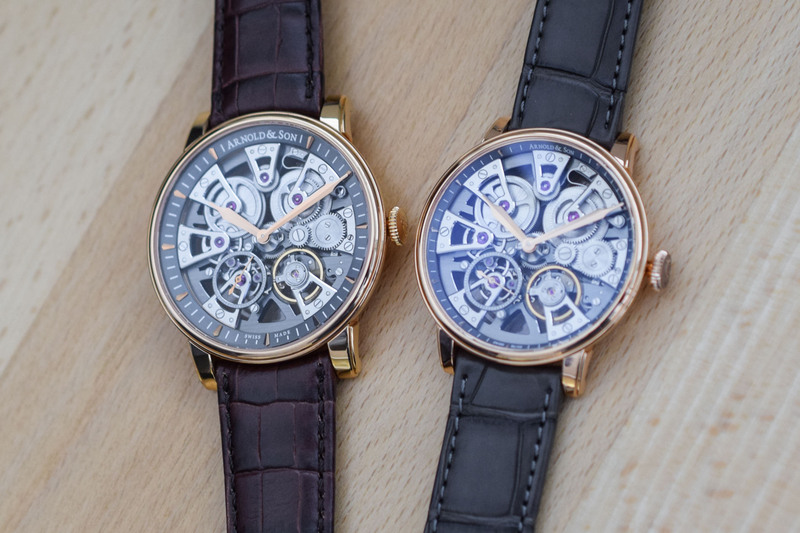 The fascinating architecture of Nebula’s symmetrical skeleton now housed in a smaller 38mm case size. 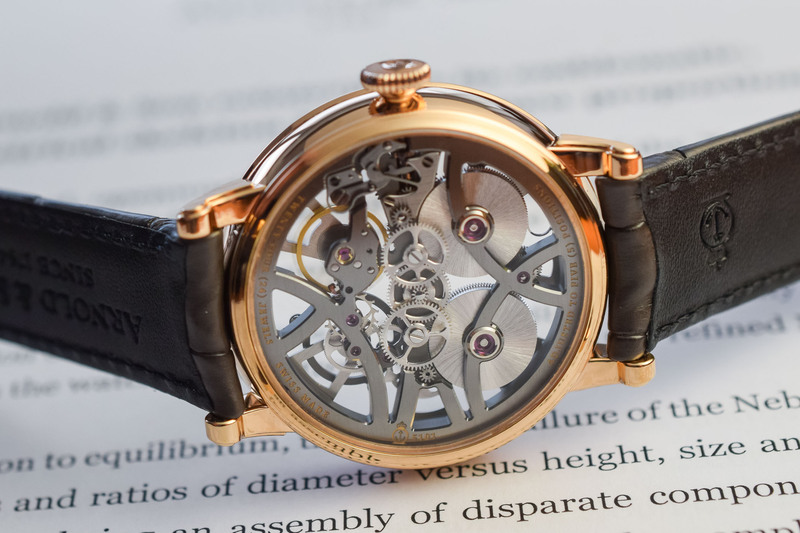 The vogue for smaller watch case sizes has sent a clear message to watchmakers who are re-editing their most popular timepieces in more contained, classic diameters. 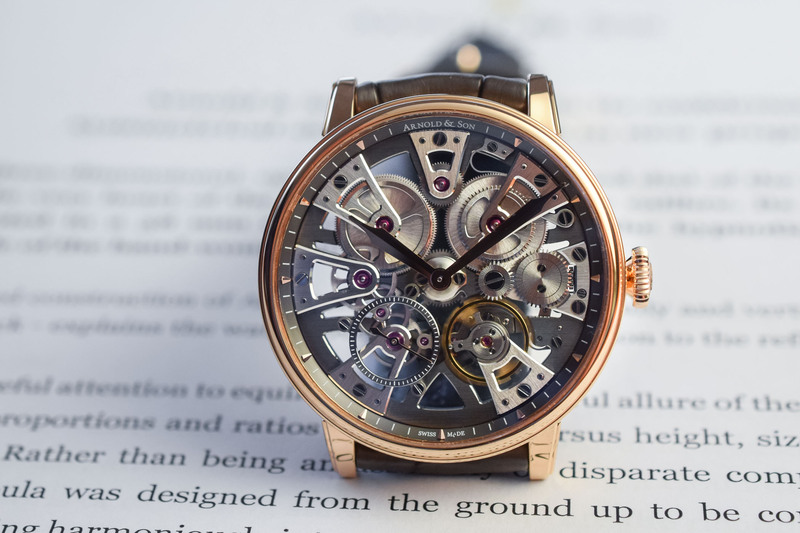 Arnold & Son, the Swiss brand with the British surname – which specialises in modern interpretations of heritage pieces with a marked penchant for symmetry and complexity – has taken heed. The limited edition Nebula, with its three-dimensional openworked movement, shrinks in size to 38mm but, thanks to a revised sloping chapter ring manages to offer the same mesmerising display of mechanics as its predecessors. 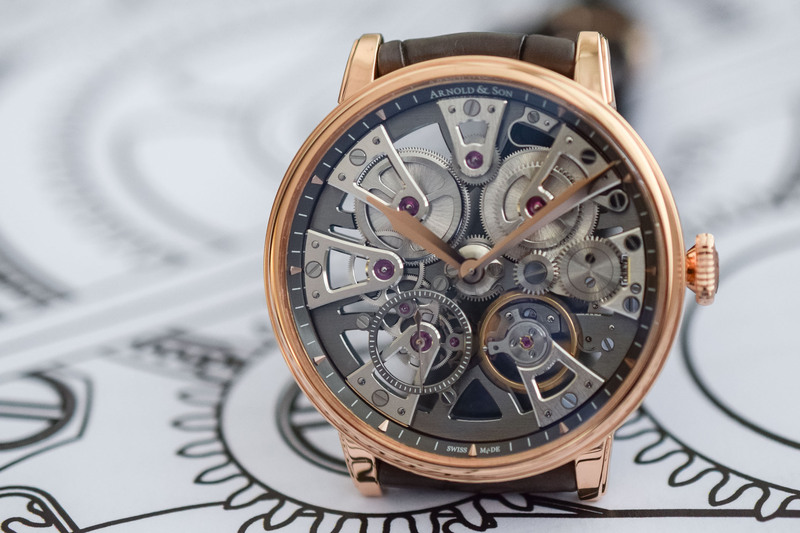 Originally presented at Baselworld 2016, the 41.5mm Nebula was positioned as Arnold & Son’s entry-level timepiece. 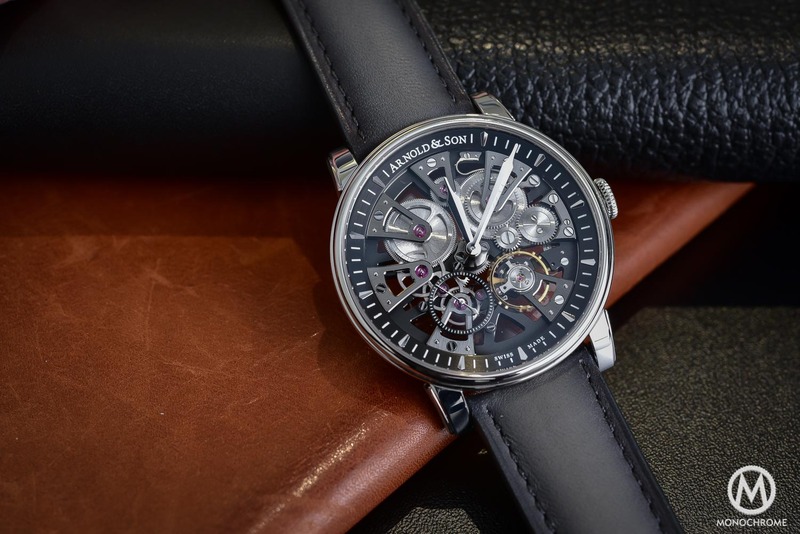 Designed to capture the dynamic architecture of the Constant-Force Tourbillon but with fewer complications, the Nebula even came in a stainless steel option retailing for CHF 13,500. 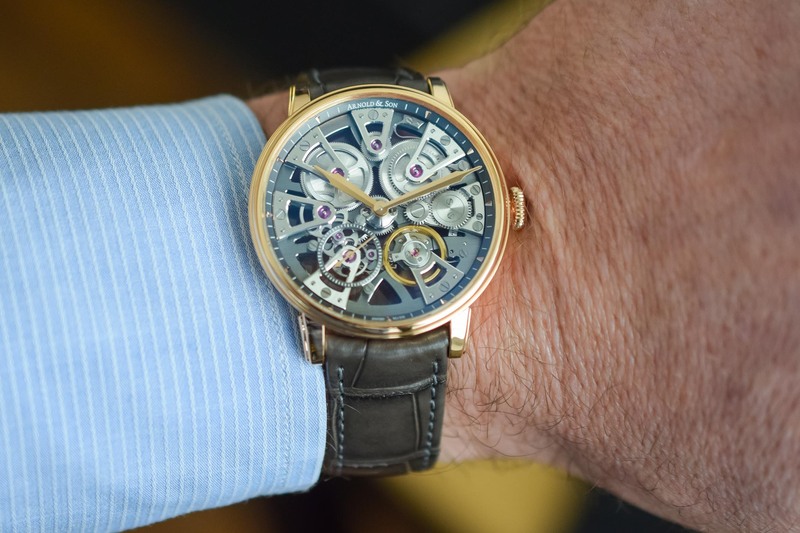 For 2019, Arnold & Son revisits the Nebula in an elegant 38mm 18k red gold case with a thickness of 8.91mm. Smaller but slightly thicker than its predecessor, the slim polished bezel and sloping chapter ring allow an expansive view of the movement. A novelty of the new 38mm model is the revised light grey chapter ring that dips into the dial area with its applied and facetted golden indices; the fact that it slopes means that it occupies less dial space and opens up the view. Shaped like inverted triangles, the hour markers echo the shape of the seven main bridges jutting out from the periphery to the centre of the dial. The dial reveals a complex architecture of animated mechanisms – including the barrels, gear train, balance, escapement and winding mechanism – anchored by a strong sense of symmetry and proportion. 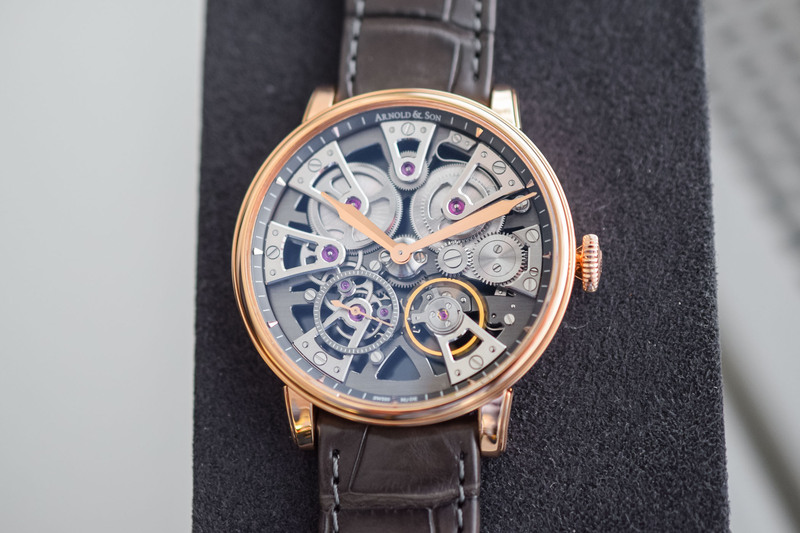 The dial is formed by ten bridges fixed on the perimeter, seven of which are triangular with chamfered bridges, a modern nod to traditional English movement architecture. The bridges were also the inspiration of the watch’s name Nebula, after the astronomical term for a cloud of cosmic gas and dust formed by the debris of exploding stars. At the top of the dial, the two mainspring barrels dominate the scenery and provide the movement with a healthy 90-hour power reserve. In the lower part of the dial, the small seconds counter and the balance wheel provide a visual counterpart to the barrels. 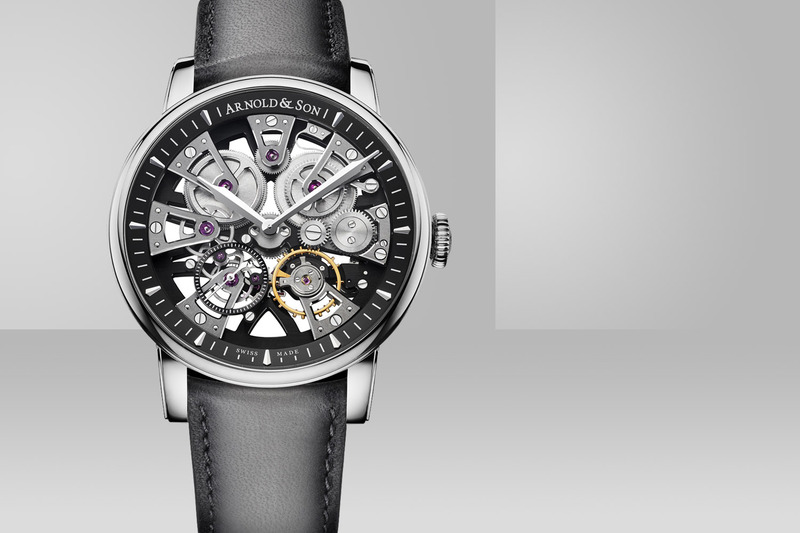 The finishes on both the dial side and reverse are superlative with palladium-treated bridges and NAC-treated main plate, chamfered bridges with polished edges and brushed surfaces, chamfered wheels with A&S three-spoke design, gold chatons, and screws with bevelled and mirror-polished heads. 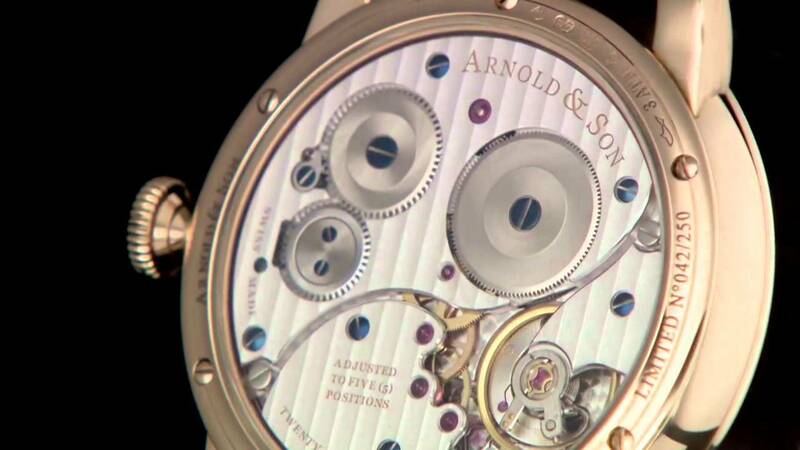 The new 38mm Nebula is fitted with an Arnold & Son hand-wound manufacture movement – A&S5201 – the same movement used in the 41.50mm version with the exact same 31.50mm diameter and 4.04mm thickness. Beating at a frequency of 21,600vph/3Hz means you can enjoy the motion of the balance wheel on the dial side. 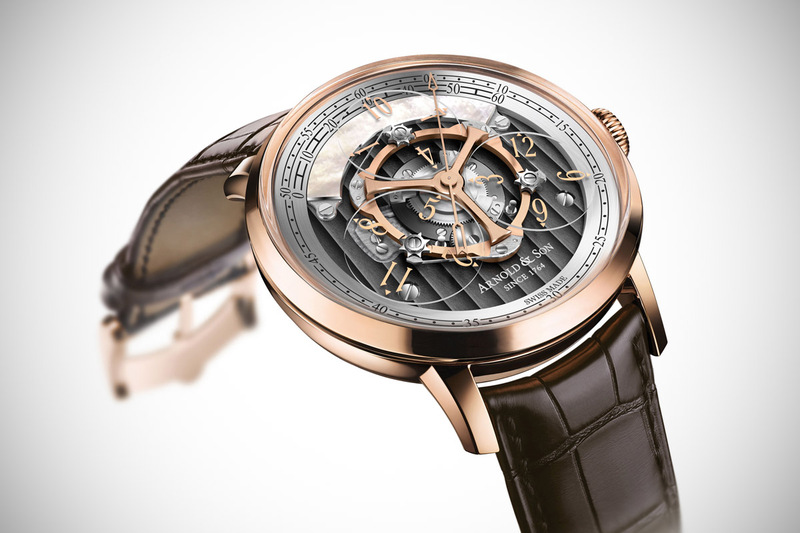 The Arnold & Son Nebula 38mm comes with a hand-stitched brandy alligator leather strap and an 18k red gold pin gold. The watch is a limited edition of 50 pieces and will retail for CHF 23,000 (excl. Tax). 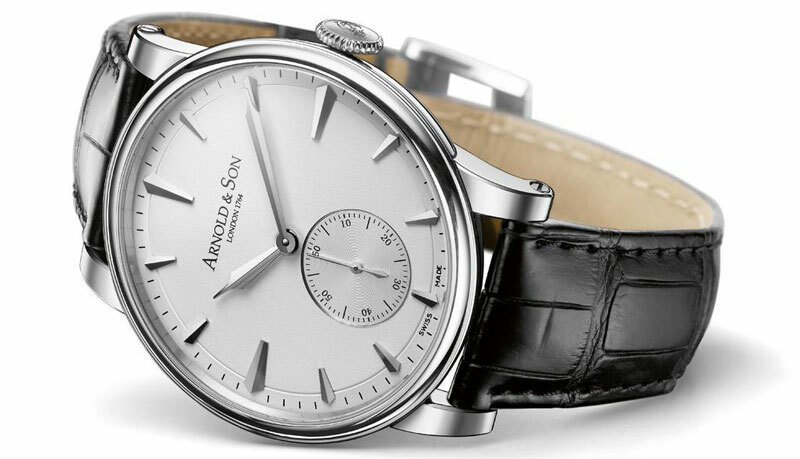 More details at www.arnoldandson.com. Es interesante,al paso del tiempo aprecias las salpicaduras del desgaste y corrosión ,te advierte que tienes que hacer el mantenimiento de limpieza. Observas el desgaste.Advierte que tienes que hacer limpieza. Seems a bit expensive to me. I suspect I don’t know enough about horology to appreciate this one. Looks nice though. JAGOTW, it is a little expensive, but La Joux-Perret who make the movement (owned by Citizen) have made some nice stuff for Chopard and Baume & Mercier in the past. The famous watchmaker John Arnold has no link in any way to what is being produced here, though, as Frodsham were the last company who had anything to do with him; currently producing pieces worthy of connotation with the type of fine high-grade English watches to be found outwith Roger Smith’s workshop. Citizen just bought the rights to use the name.